What causes the “cracking” noise during an adjustment? Is it dangerous to adjust yourself? How Do I know when I need an Adjustment? Once I see a chiropractor, do I have to go the rest of my life? Chiropractic Care: What are the Risks vs Benefits? Chiropractic is a method of alternative health care that deals with what most people commonly call a pinched nerve. Chiropractors may refer to it as the the vertebral subluxation complex. The VSC can affect your, muscles, internal organs, discs, bones, resistance, and weaken your overall health. Chiropractic has become the #1drugless health care profession in the world because it has helped millions of people recover their health without the use of damaging drugs and surgery! If your spine has pinched nerves, it may cause dysfunction to the parts of the body to which the pinched nerves target. Usually, but not always you will develop some type of symptom (pain, numbness, etc) or some stress within the body (swelling, spasms, fatigue, weakness, etc). This could lead to a serious impairment or eventual damage to the affected parts of you body (ligaments, joints, organs, etc), and a gradual weakening of your overall health. Remember, its possible to have no warning signs or symptoms with a pinched nerve. This is why a pinched nerve is often called the “Silent Killer”. Doctors of chiropractic are trained to locate, analyze and correct the pinched nerve. They adjust and realign your body using various chiropractic methods and related therapies. 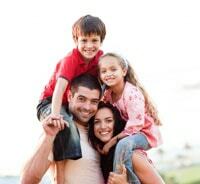 Many insurance plans cover chiropractic care to some extent. Please give us a call, and we would happy to verify your benefits for you. At Greer Chiropractic we participate with Blue Cross Blue Shield, Medicare, Aetna, Cofinity, and PPOM. We will accept any insurance that has a provision for chiropractic care, but many plans simply will not pay (like most HMO’s). Many Health Maintenance Organizations require a referral to see a chiropractor. This is may be difficult at best, and if you are one of those rare individuals that are successful, you are afforded a very limited number of treatments. In any case, a large portion of our patients receive care without insurance. If you do not possess some form of coverage, we can establish an affordable plan for you. Because having a healthy spinal column makes good common sense. If you are sick, you should go to strengthen your natural healing ability. If you are feeling fine, you should remember that vertebral subluxations are painless “silent killers”. You and your family should get your spines checked periodically to make sure you are living free from hidden vertebral subluxations, and are functioning at your fullest. Why wait for disease to happen before you begin to improve your health? A recent study suggests that patients that see a chiropractor alone, or in conjunction with medical care will spend $7,000 less per year on medical expenses than those who don’t. Only a chiropractor can help you with subluxations, and we work well with traditional medical care, naturopathy, osteopathy, homeopathy, acupuncture, nutritional support, and massage therapy. That noise is the same noise associated with “cracking” your knuckles. It is gases escaping from a joint when there is a change in pressure. Some sources say nitrogen, other say it is carbon dioxide that escape from the joints. Many adjustment methods will yield the “cracking or popping” noise, but not all. Some involve only light pressure or tension. Your chiropractor will decide what method or technique is best for you. Many people ask the question, “If cracking your knuckles is bad, why isn’t it also bad for the spine”? First, allow me to say that cracking the knuckles may or may not be bad for you. This controversial question has been the focus of numerous studies and the results are inconclusive. It should suffice to say that it may be detrimental for some of us. In any case, the shape and the make-up of joints in the spine are completely different than the fingers. A trained doctor of chiropractic not only will not harm your joints, but may be instrumental in halting the degenerative process. Most definitely. Those people who take their own spines (or someone elses for that matter) and “crack” or “pop” them are taking a tremendous risk. Without the proper training, assessment and cautions, casual manipulation of the spine could lead to the immediate damage to connective tissues or worse, and promote degenerative changes later in life. Normally as patients, we judge our need for care according to our amount of pain. Meaning, we interpret that if we feel pain, we’re not well, and we feel fine, we are. It is this pattern of thinking that contributes to serious health issues. What we cannot feel may often kill us eventually. The body is much less likely to establish serious impairments and disease if it is supported and maintained. It all begins with your nervous system.Your chiropractor is trained to analyze your need for adjustments and will normally recommend periodic check-ups based upon your life style. Many people will weigh in the convenience of getting adjusted for their frequency of care, but spinal adjustments only take a few minutes. Many people who have had back/neck surgery seek out chiropractic care. Spinal surgery is seldom a cure-all. It is often said, that one spinal surgery most assuredly leads to another. Back surgeries often fail in years or even months. Failed Back Surgery Syndrome is a common reason people end up in our office. These people can usually receive chiropractic care without worry. It is best to check with your chiropractor on a case-to-case basis. On the brighter side of this topic, chiropractic may prevent back surgery in nearly four out of five people if assessed properly and a disc has not fully prolapsed. No. But you may desire that as an option. You cannot become “addicted” to chiropractic care or develop a dependency to getting adjusted. Many people soon realize that health is more than an absence of pain, and even though you don’t necessarily hurt, it doesn’t mean you can’t feel better. A great many chiropractic patients choose to enter a “supportive” phase of care as they learn to enjoy a healthier state of being: wellness. To live a life without sickness and pain is indeed priceless. Take care of your body and you will find that more often then not, it will take care of you. Before proceeding with chiropractic care, it is important to take proper measures to ensure that it is the best method of treatment for your condition. The success or failure of the procedure will depend largely on those measures. Also, an honest assessment of the risks and benefits offered by chiropractic care will enable one to make the safest choice. Chiropractic care is amazingly safe and effective. The result of analyzing the risks and benefits of chiropractic care will help create an awareness by making the safest choice for treatment possible. If you might ask, what does the knowledge of the risks and benefits do to you? For one, it helps you assess whether the benefits outweigh the risks, and vice versa. If your chiropractor finds that you are at a higher risk by opting for chiropractic care, then they may recommend that you seek a non-chiropractic alternative. Here at Greer Chiropractic, we continually ask patients to consider the advice of family physicians, physical therapists, and other specialists concerning the spine. All in all, chiropractic care maintains one of the least risks in its approach, for the greatest benefit. Statistically, it is the safest form of spinal care today. 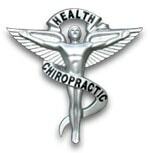 You have a far greater chance of injury from driving to the chiropractor than being treated by one. If you have any concerns, don’t hesitate to inform Dr. Greer. Chiropractic care is initially intended to cure any dysfunctions or irregularities an individual suffers in their joints or spine. And with the continued growth of chiropractic all throughout the world, it speaks a lot about the effectiveness of this particular non-medicinal practice. One distinct benefit with chiropractic care is the immediate relief that may be experienced by the patient. Joint or back pains are typically caused by misalignment on those particular areas of the body. Hence, corrections made provide instant relief since the pain is associated by the wrong positioning. Therefore, chiropractic care can address a wide range of related problems such as back pain, neck pain, or referred pain, among others. However, chiropractic’s most profound benefit is the long-term improvement it may yield to patients by arresting or slowing degenerative changes within the spine and pelvis. All types of Health Care procedures or alternative therapy pose their own set of risks, and the same applies with chiropractic care. With chiropractic care, the risks are non-life threatening since the methodologies used in this particular non-medicinal practice are non-invasive. Hence, if there are any side effects at all, then they are mostly of transient types and can be as simple as a sensation of localized stiffness and soreness that pose no real threat. However, there are also rare cases wherein minor side effects dramatically evolved into a higher degree with more prominent regularity. Several recent news items have reported on the supposed risks of chiropractic manipulation to the neck. As a practicing chiropractor who uses neck manipulation everyday in my practice, I find these reports exaggerated and alarmist. In 24 years of practice, I have personally performed, received and/or witnessed well over 750,000 neck manipulations/adjustments, without a single significant complication. Clearly, the risks of neck manipulation/adjustments are not as common as some of the more irresponsible reports imply. Based upon numerous studies, the most reasonable estimate of the risk of stroke (CVA) from cervical manipulation is one-half to two incidents per million manipulations/adjustments performed. While it has been argued that the rate of strokes may be significantly under-reported in the literature, it is probable that the rate of accidental impairment are proportionally over-reported, since it is likely the more serious and impressive cases would be described in the literature. Therefore, a conservative estimate of the risk of impairment from stroke caused by neck manipulation is about 1 in 5.85 million manipulations/adjustments. For proper perspective, the risks of chiropractic neck treatment should be compared to the risks of other treatments for similar conditions. For example, even the most conservative “conventional” treatment for neck and back pain, prescription of Non-Steroidal Anti-Inflammatory Drugs (NSAIDs), may carry a significantly greater risk than manipulation/adjustment. One study found a 4/10,000 annual mortality rate for NSAID induced ulcers among patients treated for non-rheumatic conditions such as musculoskeletal pain and osteoarthritis; that extrapolates to 3,200 deaths in the US annually. While it might be argued that the population covered in this study were only patients under long-term NSAID therapy, and that acute use carries far less risk, it is not true that these complications are limited only to chronic NSAID users. Studies have found short-term NSAID use was actually associated with a much higher rate of GI complications than chronic use. Less conservative treatments such as neck surgery are also commonly used for conditions very similar to the conditions chiropractors treat using spinal manipulation. There is a 3-4% rate of complication for cervical spine surgery, and 4,000-10,000 deaths per million neck surgeries. Chiropractors are educated as primary contact health care practitioners, with an emphasis on musculoskeletal diagnosis and treatment. Educational requirements for doctors of chiropractic are among the most stringent of any of the health care professions.The typical applicant at a chiropractic college has already acquired nearly four years of pre-medical undergraduate college education, including courses in biology, inorganic and organic chemistry, physics, psychology and related lab work. Once accepted into an accredited chiropractic college, the requirements become even more demanding – four to five academic years of professional study are the standard. Because of the hands-on nature of chiropractic, and the intricate adjusting techniques, a significant portion of time is spent in clinical training. Spinal decompression (otherwise known as intervertebral disc decompression) is a non-invasive, non-surgical treatment for certain types of chronic neck and back pain. It may also be used for acute situations involving herniated discs. Mechanical decompression works by slowly and gently stretching the spine, taking pressure off compressed discs and vertebrae. Spinal decompression is one of the most innovative chiropractic treatments developed in many years, since it demonstrates good statistical results for long term pain relief. Spinal decompression allows for pressure to be relieved on certain joints and structures in either the lumbar or cervical regions of the spine. The treatment lasts about 20 to 30 minutes, depending on the type of device or protocol being used. Patients are usually placed on a protocol that is software driven, which allows a process called ramping (the gradual increase or decrease in tension). Modern method attempts at decompression therapy are often successful in extreme cases where traditional methods are not. We employ the Eurotech DOC system at Greer Chiropractic, and we offer it at an extremely affordable fee. You will find compression therapy here for a fraction of the cost at other facilities.